AAMCO recently launched the Trust campaign to expand the public’s perception of what we do. 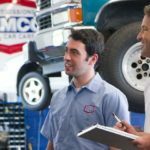 Not only do we fix transmissions — the most complicated part of a car — we change our customers’ oil, fix their brakes, and rotate their tires. Brakes for Breasts –This month, the AAMCO center in Pottsville, Pennsylvania, is participating in the Brakes for Breasts campaign in support of Breast Cancer Awareness Month by offering free brake pads and donating 10 percent of all brake services to The Cleveland Clinic Breast Cancer Vaccine Research Fund. Atlanta Humane Society Partnership –A group of 24 franchise dealers in the Atlanta area recently partnered with the Atlanta Human Society to be the corporate sponsor of the organization and collect donations on their behalf. Habitat for Humanity –AAMCO’s franchisees in the San Francisco Bay Area partnered with Habitat for Humanity to build five homes in three days for families in need last June. Ring Around the Roses Memorial Day 5K –The event served as a platform for the brand’s Clintonville, Ohio, franchisees to make a donation to the Clintonville-Beechwold Community Resources Center. Boston Strong –Franchisees in Wilmington, Massachusetts, and Concord, New Hampshire, showed support for the families affected by the Boston Marathon bombing by making monetary donations to the Boston Strong organization. Year-Long Food Drive –The AAMCO service center in Cedar Bluff, Virginia, initiated an ongoing food drive, which has donated nearly 40 tons of food to various organizations in the community to date. 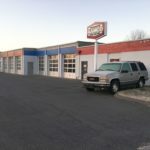 In addition, several of AAMCO’s franchise owners have offered free car repairs and inspections to local community members who are unable to afford maintenance costs for their vehicles. 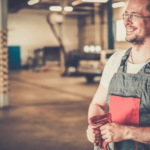 Jeff Szekely frequently performs free repairs for those who are unable to afford proper automotive care at his AAMCO service centers in Portland, Oregon. 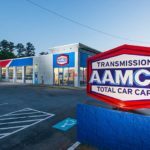 The proactive and exemplary leadership displayed by AAMCO’s franchisees is continuing to build loyalty among customers, as well as attract franchise candidates, who are looking to invest in a brand that promotes community goodwill, AAMCO management noted.